ASTER specializes in sales and processing of nonwoven materials, and offers clients a wide range products which are always readily available in our warehouse. For any questions or to find out more please don't hesitate to contact us. 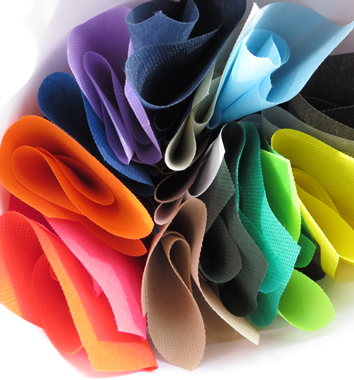 Thanks to the versatility of the nonwoven material we offer, Aster is able to provide our clients with a tailored service across a range of applications in a variety of sectors. We proudly operate both within the Italian market and overseas serving a diverse client base. There are endless applications for our nonwoven product. Our products are available in a wide variety of colors, weights, widths and lengths. We also offer a wide range of finishing services which render our product suitable for any sector. We work with both small and large clients on all types of projects, both big and small, every day. We look forward to developing a collaborative rapport with our clients in an effort to promote the quality of their business and ours. © Aster srl - All rights reserved - Powered by BAS Studios.